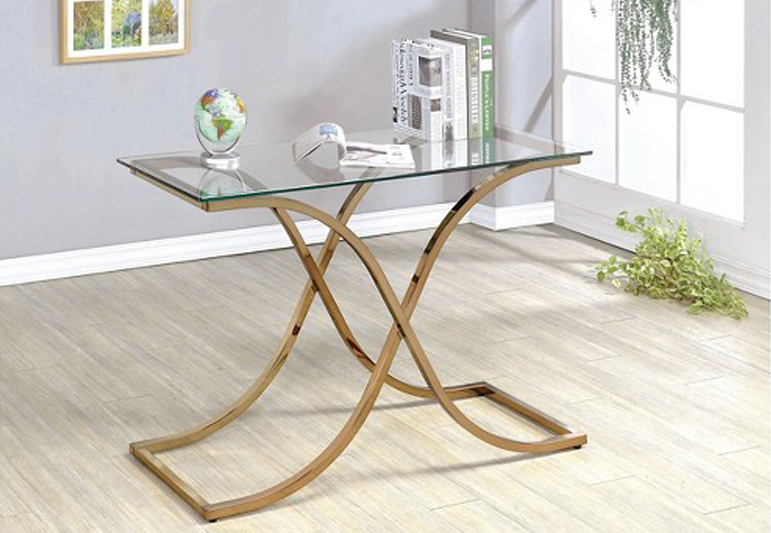 We love the clean lines of this table with its glass top. 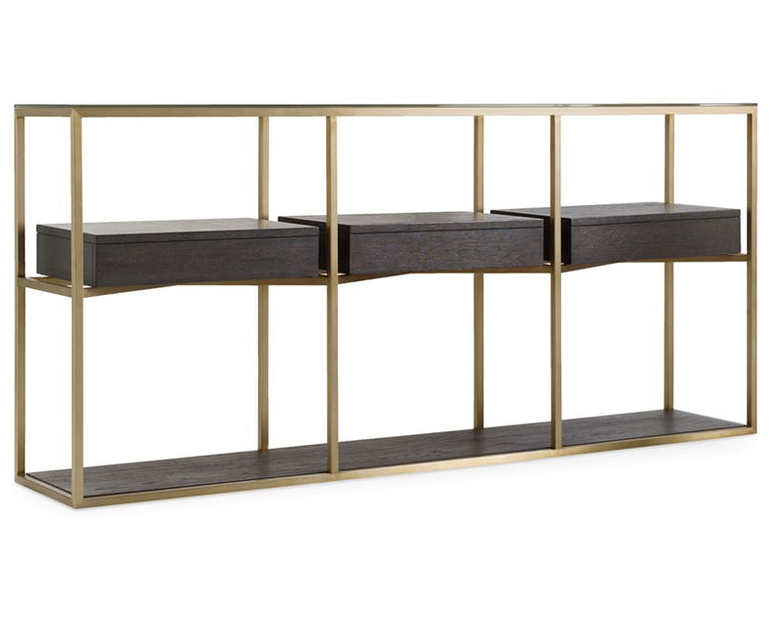 The brass frame is complimented by the deep brown finish of the shelf and – our favorite feature – the three unique hinged storage areas. 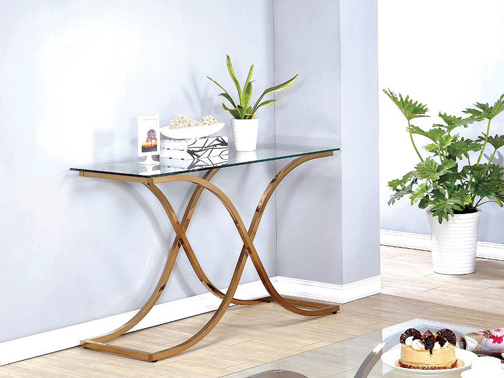 Less is more with this table. 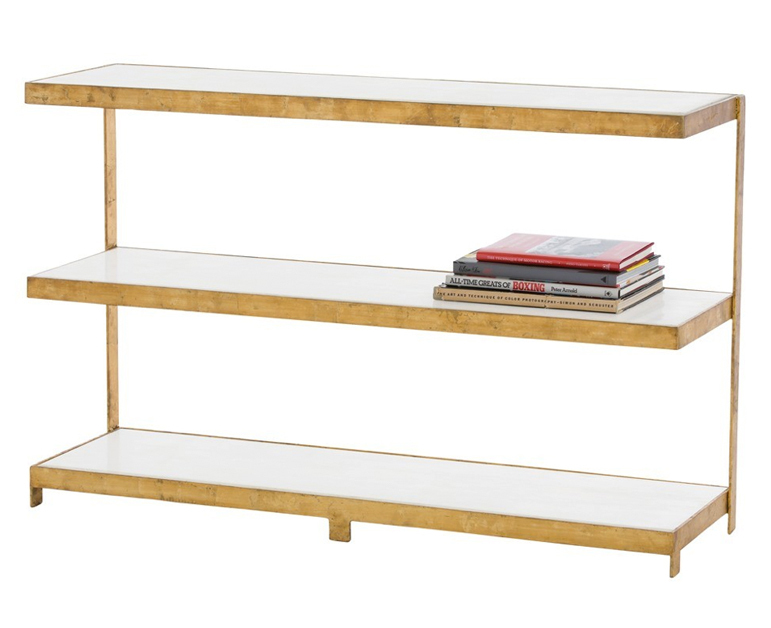 The gold finish really stands out as the focal point against the white marble of the cantilevered shelves. 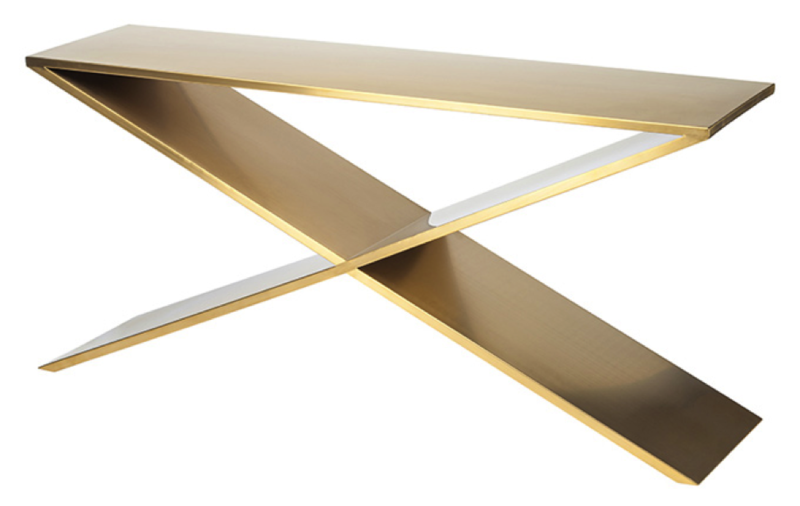 With its sleek lines and entirely brushed gold stainless finish, we love the contemporary feel that this table achieves. 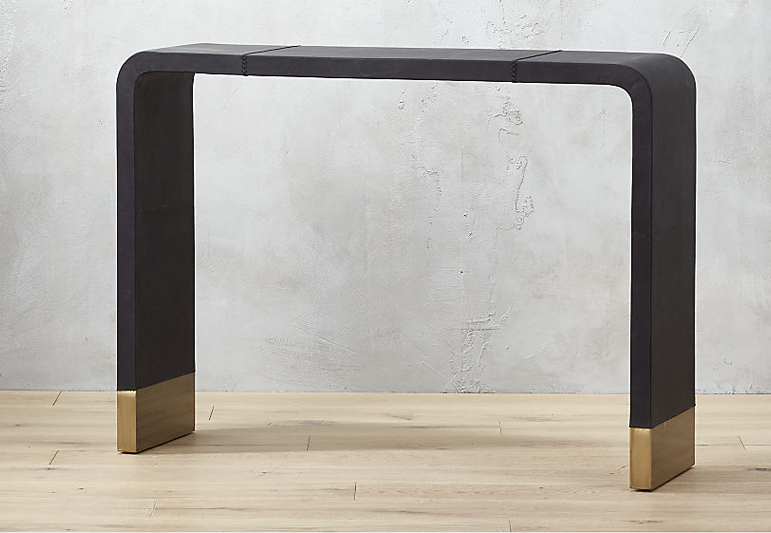 The gold of these brass legs is the perfect compliment to the unique black leather covering of this table. 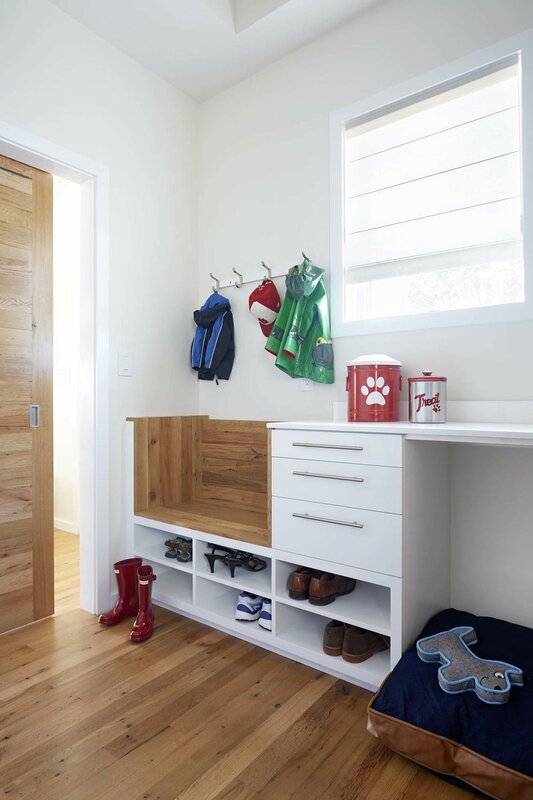 The simplicity of the design with its curves as the focal point achieves a modern look. 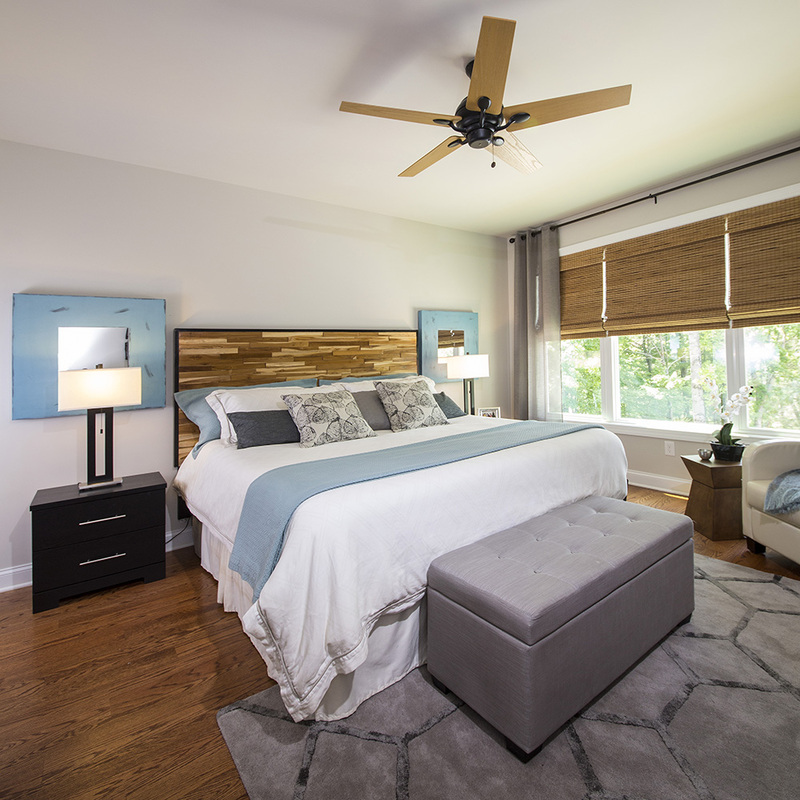 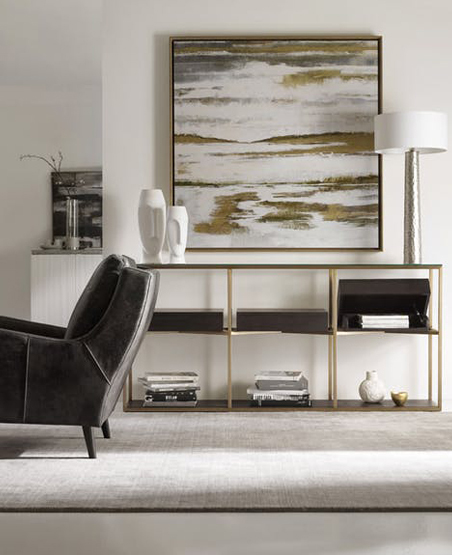 The openness of the base with its many clean lines and rich gold color creates a sophisticated focal point. 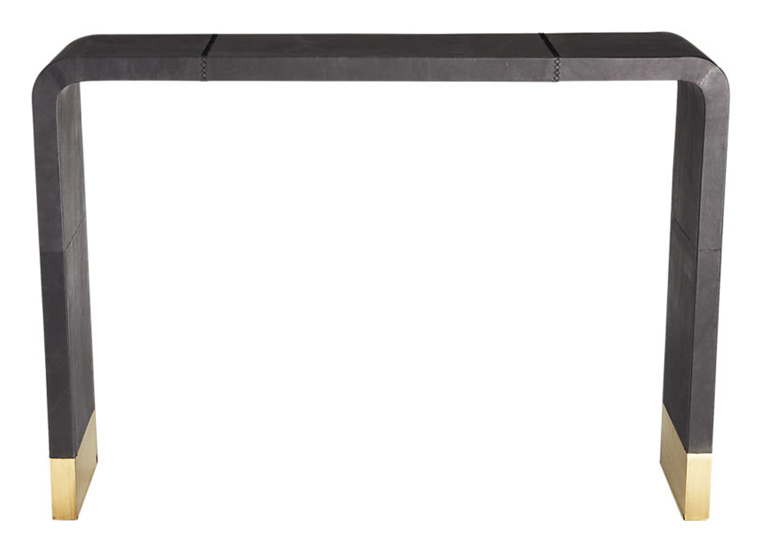 The onyx stone top accentuates the base, providing an elegant and modern look. 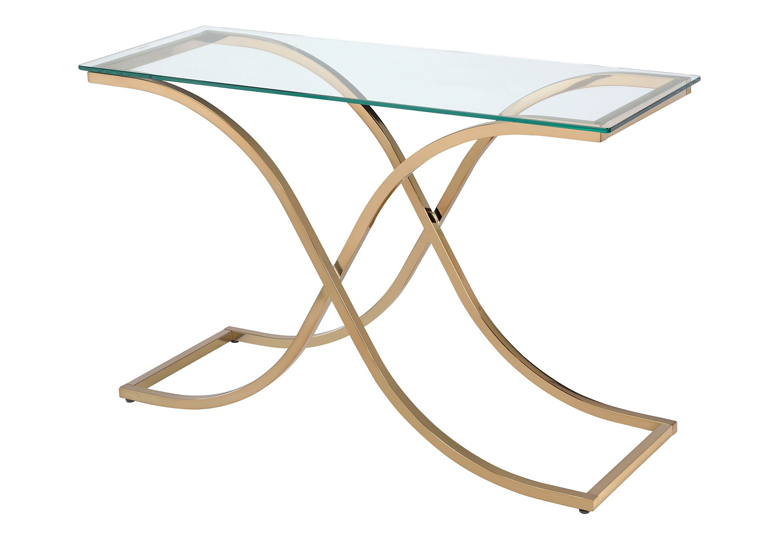 The simplicity of the glass top makes the intersecting curved legs and the color of the finish the focal point of this modern table. 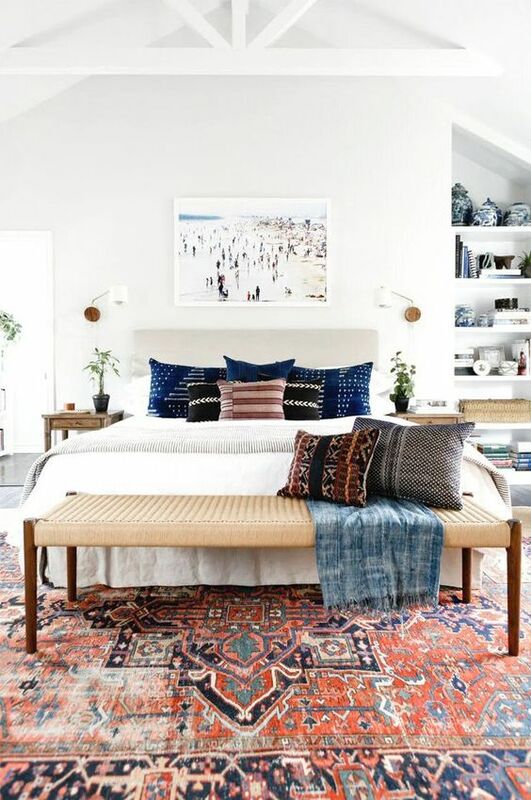 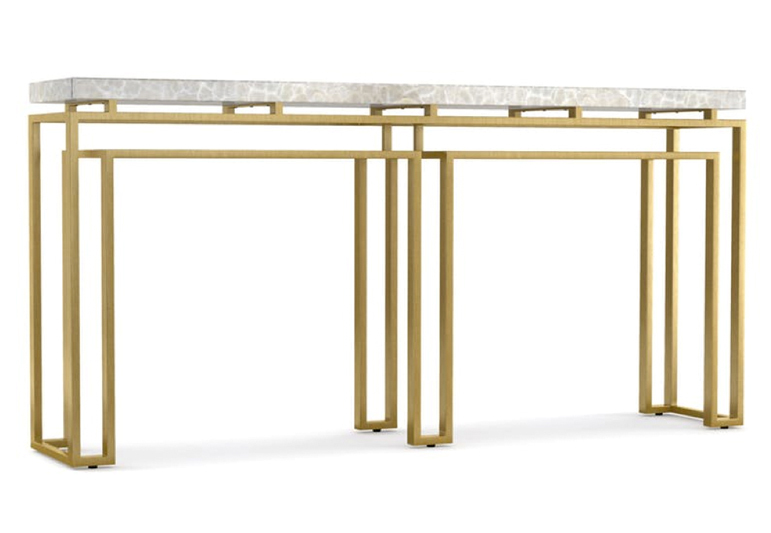 Whether you’re using your console table in your entryway, living room, or another location in your home, we hope these suggestions are a helpful starting point if you’re looking to accent the room with an elegant gold piece. 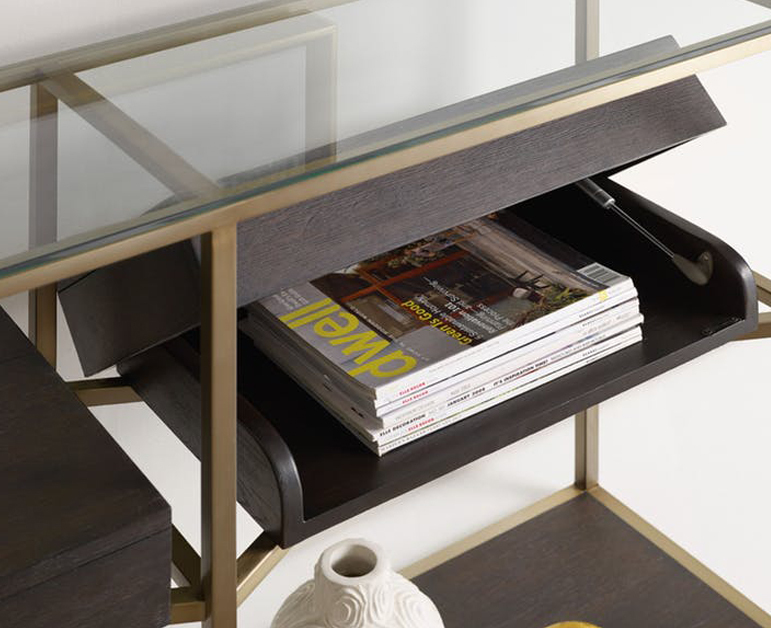 Console tables provide space to display your meaningful curated items, allowing your home to tell your story.